There’s a space yet for Sniper-specific shooters — Rebellion’s Sniper Elite 4 reaffirmed that belief earlier this year. But what’s better than a stand-alone, single title flying the Sniper’s flag (or not flying as might prove the better strategy)? Answer: competition. 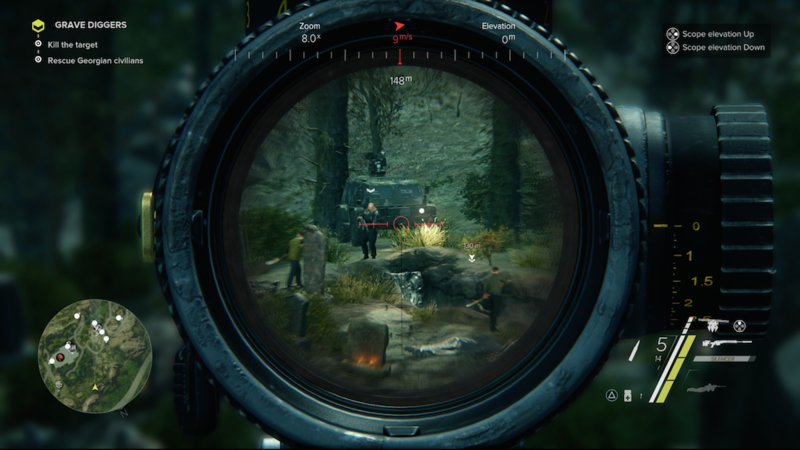 Sniper Ghost Warrior has been another fellow Sniper-focused series that has billed itself as the alternative to the more traditional shooter. 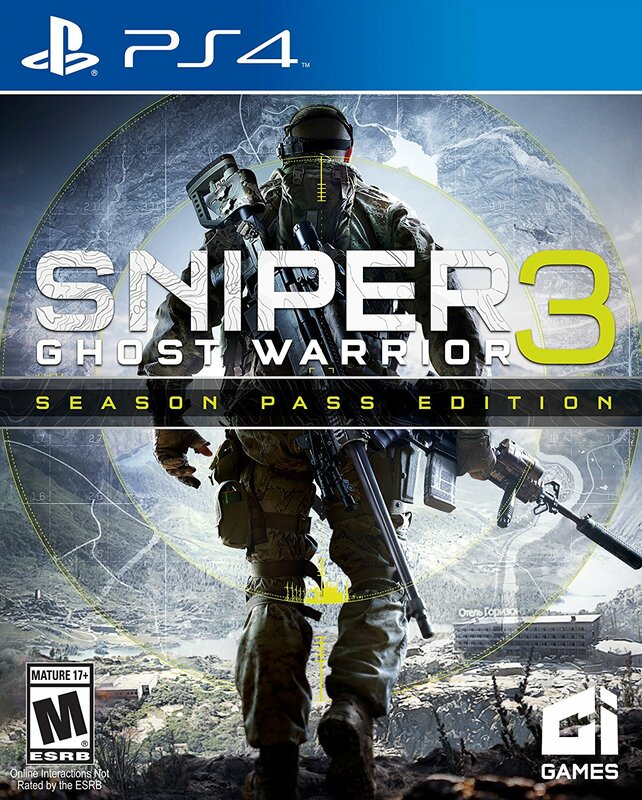 And while CI Games’ own offering has remained steadily skating the peripherals of shooter’s most populated gazes, perhaps in an attempt to cement the series’ presence in the mind-set of as many shooter enthusiasts as possible, Sniper Ghost Warrior 3 is without question the most ambitious attempt to bring the series up to AAA snuff. 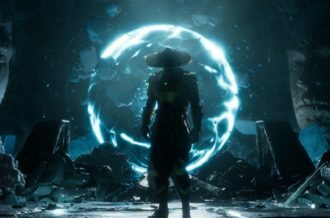 Borrowing from established bases that helped drive shooters through the previous-gen and even now, CI Games’ move towards a more open-World, “play it your way” adaptive pedigree of first-person shooting is, to say the least, commendable given the scale of the demand on the developer’s side. 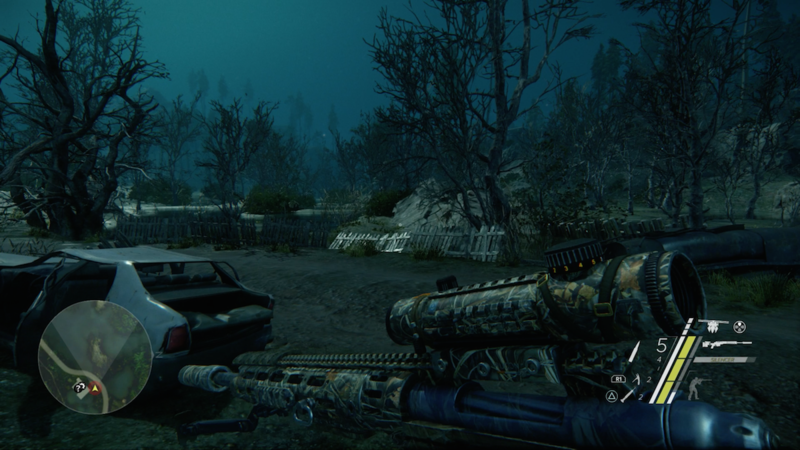 The scale is definitely there to see as players quickly come face-to-face with the numerous semi-open (not entirely open; sectioned off, interconnected regions of the in-game setting of Georgia, measuring around fifteen square kilometers each) regions that comprise the majority of Sniper Ghost Warrior 3‘s play-time. Regions housing varied environmental and geological themes but for the most part designed in the same manner of emphasising, more importantly, the game’s core gameplay mechanic of acting strategically on a particular objective. 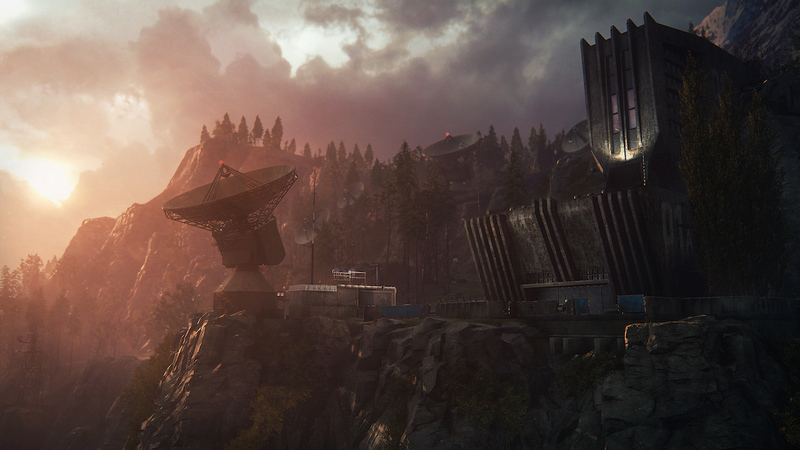 For anyone having given a Far Cry game a good enough run-through, the systems in place will look and feel relatively familiar; for the most part, Sniper Ghost Warrior 3 tasks players with approaching a set location or objective, using your trustee drone to perform reconnaissance beforehand — scouting out enemies, not to mention optional items and acquirable loot — and deciding the best course of action thereon. It’s here where players can take up one of three approaches. Sniper, the default, long-distance silent attempt that requires you pick off enemy soldiers one at a time; Ghost, the more up-close method that can reward you with eavesdropping on conversations and interrogating hostiles for new info. And then there’s Warrior, perhaps the least inviting tactic to choose but present nonetheless in abundance — playing out like a mere tack-on for those who simply want to go in guns-blazing. A wide assortment of firearms, items and gadgets at one’s disposal, regardless of the direction you take, but in actuality, are more than likely to never be used. Not simply because of the ease at which enemy soldiers can be dealt with using but your humble sniper rifle or suppressed secondary but also because the indecisive nature of gunplay in the most heated of moments, is such an off-put. The robotic almost heavy and sluggish feel to a conventional firefight (perhaps some kind of subtle advisory note that this is a Sniper game after all) ending up barely used, even when a full-stealth play-through doesn’t quite go to plan. And expect that scenario to potentially pop up numerous time, be it of your own making or otherwise because for all the talk about ambition and scale, the biggest problem and perhaps one of Sniper Ghost Warrior 3‘s most troubling thoughts coming out of it is the feeling that CI Games have, unknowingly or not, cut corners in order to create an alluring sense of player freedom. This figurative corner comes in no better (or more visible) a shape than the game’s technical efforts and its constantly troubled performance as a result, even on consoles [played on PS4] at a 30FPS locked cap. 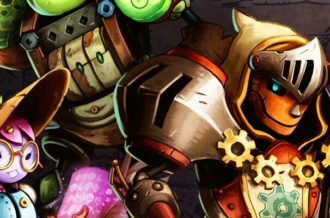 Whether it be a chugging frame-rate when looking through the scope of a rifle, the frenzied spout of lighting and texture animation popping in and out at points, player-character animation clipping through objects in the environment, even loading screens that can last up to four or five minutes at times. 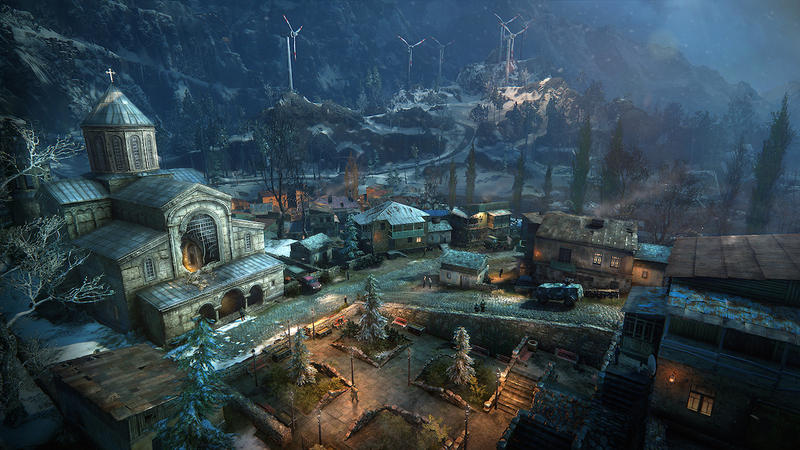 For all the modest pleasure one gets at sneaking through the game’s assortment of bases, villages, factories and the like — and how well CI do at carving out some fairly enjoyable locales here and varied, at points, story missions there — Sniper Ghost Warrior 3, while far from a “mess”, comes off the cause of its own victimhood. 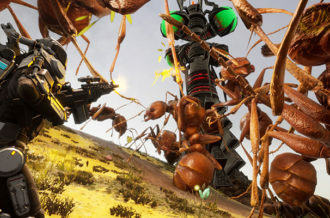 This extends further, beyond the visual aspects into, more painstakingly, the actual gameplay where unbalanced parameters of intelligence from the AI — spotting you in a prone position from several hundred yards away one minute, completely oblivious to your point-blank presence the next, somehow initiating an alert phase after a successful, suppressed kill to another enemy — as well as game-breaking and playthrough-breaking bugs can crop up again and again and again. Be it getting stuck in the environment with no means of escaping or interrogated enemies miraculously vanishing, locking you into the paired animation it shares (both cases requiring a manual restart of the mission), what rules and systems the game has in place, it so effortlessly breaks and seems to rewrite with little to no warning. One instance had me fail a mission with no indication as to how, or why, I’d caused such a state to be activated. Such is the ample disappointing nature of Sniper Ghost Warrior 3‘s general performance, for outside of these continuous snags and, at worst, game-breaking annoyances, the game houses a satisfying (if not entirely ground-breaking) variant on the Ubisoft-like open-World mission-a-thon that has defined — and arguably shackled — series like Far Cry & Assassin’s Creed. There are of course the plethora of icons that immediately pop up on the map to a new semi-open locale as there are fast-travel points and side-missions usually revolving around one of potentially three scenarios. At its worst its “open” structure feels implemented for the sake of simply fitting in with the crowd — an illusive veil of current-gen appeal. Yet hidden amidst these initially regurgitating charades, are some genuinely interesting breaks from the open-World mould/fatigue. Whether it’s puzzle-like scenarios that have you use your drone in odd but canny ways or hunting down targets on a figurative Most Wanted list — coming to the realization that you can, theoretically, take the kill outside of the mission area, if approached with the right strategy and mind-set. At its best, Sniper Ghost Warrior 3 demonstrates itself as a game that has the know-how to fuse the varied geometry of its World design along with the tactile necessity of its gameplay to carve out some interesting set-pieces, but finds its necessity for AAA “standards” (on top of the technical issues mentioned) come to define it moreso. Evens so, for all the color-by-numbers safety in the traditional “find x/retrieve x” mission structure or indeed mandatory crafting system, there’s usually one or even a couple of main missions sprinkled throughout the main campaign that do at least freshen up the sequencing from time to time. Even the potentially laborious act of fast-travelling to your required safe-house over and over just to have the next mission active is mitigated somewhat by the assortment of off-road curiosities (indicated by bold “?” symbols) that may land you extra loot, a hidden collectible or simply time well spent under the rightful justification you were simply curious about the World around you. And it’s this more organic flow of exploration especially that fits much better into the role of a Sniper in foreign but potentially deadly territory and one that CI Games really should have pushed more of. So it’s safe to assume then that the greatest high’s to be found in Sniper Ghost Warrior 3 are those that the player is willing to invest in for themselves and/or discover as if by accident, rather than the formulaic check-list of sorts provided by the game itself. 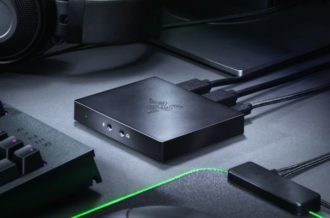 An unfortunate notion to claim, but due to the sheer unnecessary amount of, for example, customisation options on offer, the game’s bulk rarely feels justified from an investment stand-point. The added perks players can unlock after building up enough XP in each of the three main play-style counters more notably — achieved by performing lethal or tactile actions based on the Sniper/Ghost/Warrior archetypes — once again falling into that litter of games whose rewards feel either pointless or relatively unjustified for a given play-style. An increase in loot drops when there’s plenty to scavenge as is; extra health when barely any was lost to begin with; a 20% decrease to explosive damage? 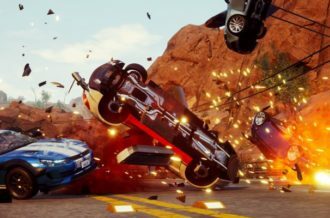 It’s ultimately more of the same pointlessly statistical faux-depth to, once again, “fit in” with a crowd of AAA titles that consumers have already started to grow tired of. The best advice, for anyone still willing to dive in with a similar loft of intrigue, is to think back to the times scouring the Middle Eastern or Africa plains in a game like The Phantom Pain. To a period where main objectives were pushed to the side and “free roam” became, though brief, the focus. Of discovering an oddity in the form of a derelict building or climbable terrain — which here, fortunately, isn’t made overtly-obvious on the surface, revealed only through use of the dedicated “sense” button — that may or may not lead to an additional discovery or two. And it would be a lie to claim that the completion of a mission didn’t see me avoid using the fast-travel button to simply perhaps idly make one’s way across the terrain on foot. Even if it meant spacing out the appearance of story-mission cutscenes that bring to light, in all the wrong ways, the questionable quality of facial animations and delivery of dialogue. For all the temporal distractions, the near-mandatory attitude and dictation its open-World formula ends up presenting may end up dealing a blow to Sniper Ghost Warrior 3‘s small and hidden joys of explorative distraction. But the heaviest of blows will no doubt come from its near-constant technical issues that are varied in scale but frustratingly, persistently present throughout. And when these bugs end up damaging stand-alone playthrough’s or go so as far as to punish players without any real indication as to the cause, it paints a fairly unsettling shade atop what already is a rather magnolia-like palette of open-World AAA familiarity. Sniper Ghost Warrior 3 comes across then as a title having cut a few too many refined corners, seldom befitting of the bloated content its back-end simply can’t handle on a seamless basis — as varied its mechanics and offer of “choice” may well be. Which for the well-crafted environments and World-building on show here, proves the biggest detriment of them all.